More than 3.5 million people have just one week to file their self-assessment tax return and pay their outstanding bills, or they’ll face the prospect of a £100 fine – even if they don’t owe anything. Tax returns are due by midnight on 31 January 2019. You need to file a return if you have untaxed income, in specific circumstances to do with your profession or income or if HMRC sends you a return. Which? explains what you need to do to meet the deadline and how you can avoid a fine. This year, some 11.6 million people are due to complete a self-assessment return, with more than 8 million having already done so. Taxpayers have until 11.59pm on 31 January to complete their online tax returns. But leaving things until the last minute could prove expensive, as there’s always a risk of not being able to find some of the key information. Mel Stride, financial secretary to the Treasury, says: ‘The deadline for the self-assessment tax return is fast approaching, but there is still time for the 3.5 million customers who haven’t completed their return to file by 31 January. If you miss the deadline to complete your return, you’ll incur an automatic £100 penalty, even if you’ve paid the tax on time or don’t owe anything. If you let your return slip to three months past the deadline, you’ll start receiving a daily £10 fine, which can reach another £900. And after six months, there’s another £300 fine (or 5% of the amount you owe, if that’s more). And that £300 (or 5%) is repeated after 12 months. In the most severe cases, HMRC can charge you a fine equivalent to 100% of what you owe. On top of the fines for late filing, you’ll be charged 5% of the amount you owe in interest after 30 days, six months and 12 months, so ignoring it could cost you thousands of pounds. When can you file your taxes late? If you have a reasonable excuse for missing the deadline, HMRC may grant an extension and give you a little more time to complete your return. a fire, flood or theft that stopped you from being able to file your return. you made a mistake on your return. 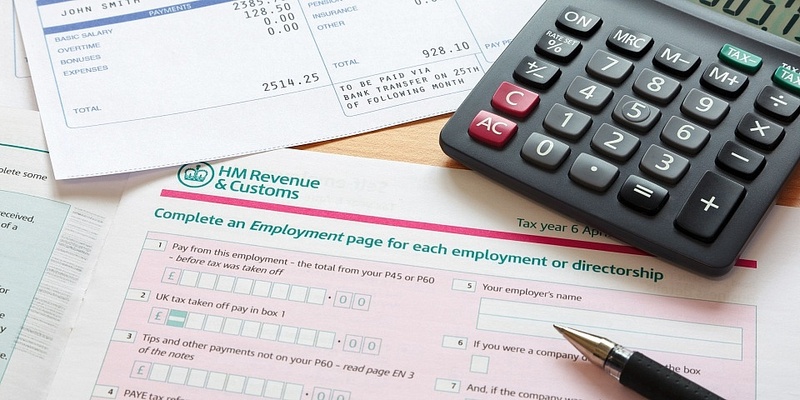 If you need to appeal a late fine from HMRC, you can read our guide on Which? Consumer Rights. What can you do if you think you’ll miss the tax-return deadline? If you think you won’t be able to complete your return, it’s better to contact HMRC in advance, as there’s a chance they’ll let you make alternative arrangements. Generally, the earlier you do this, the better, as the lines can get very busy on the eve of the deadline. Give them a call on 0300 200 3310, or visit Gov.uk for more information. Find out more: who needs to complete a tax return? Do your tax return with Which? Getting a helping hand with your tax return can help you avoid mistakes. The Which? tax calculator offers you an easy-to-use, jargon-free way to tot up your return and submit direct to HMRC. Try it for yourself at which.co.uk/taxcalculator.